1. Head to the Tonga Hut (North Hollywood location). 2. Request to start your Grog Log. 3. Get a sheet of paper that looks like the one above so that the bartender can sign off on all drinks consumed each visit. 4. Enjoy a whole array of tropical goodness over the course of the year (we're sticking to about 2 drinks a week). Make new friends, become a regular, etc. 5. Complete your journey through Jeff "Beachbum" Berry's list of tiki masterpieces. Become a member of the Loyal Order of the DB. Get your [tiki] name on a plaque on the wall, future drink discounts, and an optional commemorative fez. 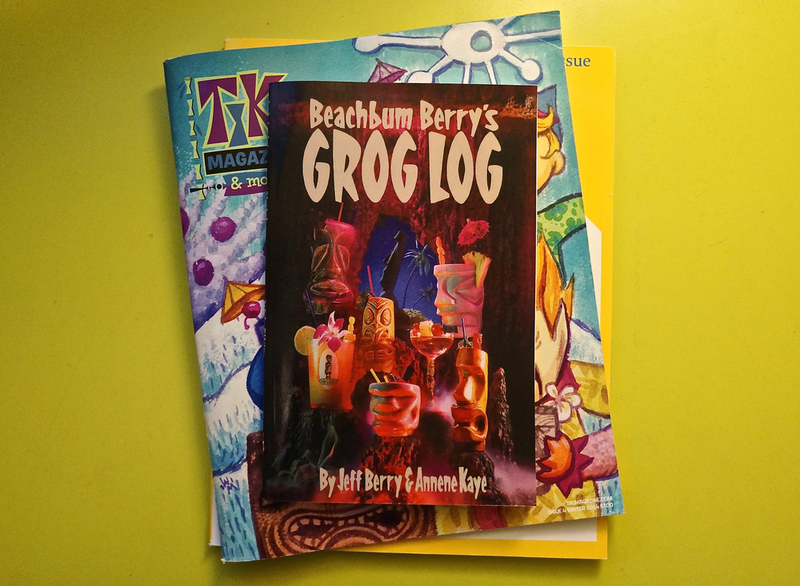 For the non-LA-natives, you can always buy a copy of Beachbum Berry's Grog Log and go on this journey at home; although, I must say that there are SO many ingredients that stocking your bar up to complete the Grog Log might run you more than purchasing the drinks all year from the Tonga Hut! Q.B. Cooler - Our first drink. I was a little too excited about starting our Grog Logs to really remember too much about this one but I think it was fairly complex in flavor. Trade Wind Cocktail - In theory I love this one just because it originated near where I grew up on Long Island but in reality it's a little too bitter compared to the other drinks on the list. Kind of reminded me of orange vitamins. Gold Cup - We picked this one because the inclusion of almond extract seemed tasty. You could taste it a little but this one was still very tropical cocktail-esque. Kapu-Kai - Lime & Rum - pretty simple. Has anyone else completed (or tried to complete) the Grog Log? Any favorite drinks on the list out there?